Taking up almost immediately after the great Battle of Venus, Arabella has finally returned home to Mars to settle in to life with her husband, the mysterious Captain Singh. 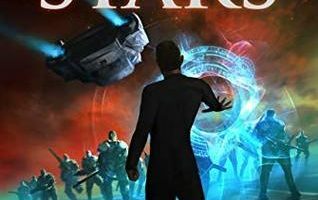 The Regent of the United Kingdom sets his eyes on solidifying his rule in the colonies and dispatches a fleet to better cement his control over Mars. Now Arabella and Singh must decide where their ultimate loyalties lie, with the Empire or with their home. 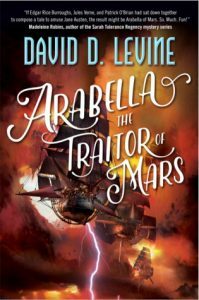 Arabella The Traitor Of Mars by David D. Levine was a fun and fast-paced read full of intense action that I was almost incapable of putting down once I had started reading it. I was honestly a bit hesitant to start this book when I received it in the mail, I liked the first two books in the series and was a bit worried my expectations were too high to meet, but I think I can say that Arabella The Traitor Of Mars surpassed those expectations in just about every way. I honestly found this book to be so intense at times that I caught myself pacing around my apartment while reading it because it had my adrenalin pumping while reading it so I had to move. While I enjoyed reading Arabella of Mars quite a bit when I read it a years ago, I think David D. Levine has improved so much on Arabella The Traitor of Mars that it’s almost impossible to compare the two fairly. 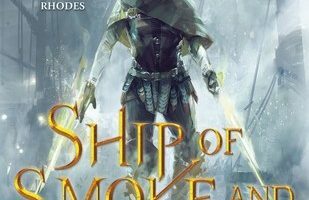 One of the best parts of this book is how much Arabella has grown and matured as a character since the first book in the series and how much it has impacted her relationship with Captain Singh. Honestly, their relationship seemed kind of rushed and forced in the beginning of the series but now they fit each other so well it’s difficult to picture them apart. The way the various characters have evolved since the first book is one of the things that’s made each book progressively better. One of the things I found most interesting in this book was the conflicting emotions of both Arabella and Captain Singh over what to do about the events that unfold in the story. 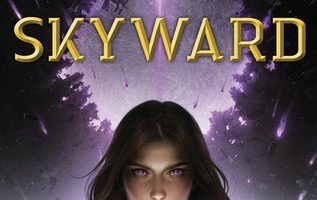 Their love and loyalty were tested in some really interesting ways over the course of this book and needing to know what their decisions would be on where their loyalties ultimately rest was one of the things that made it almost impossible for me to stop reading. David D. Levine did a fantastic job showing how those choices and the sacrifices they have to make an impact and change them over the course of the story. 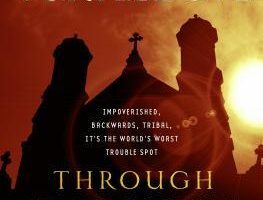 Although I have to say as intense and drama-filled as this book was I still find it to be one of the most entertaining series I’ve read in a long time. I think the concept of these pirates and other spacefarers traveling between planets in these giant sailed ships you would expect to see in the water is absolutely ridiculous but it really works in this story. I honestly don’t think these books would be anywhere near as fun as they are to read if everything was done in a more scientifically accurate manner. I will definitely be recommending this series to anyone looking for something to read and I can’t wait to see where the story goes next!